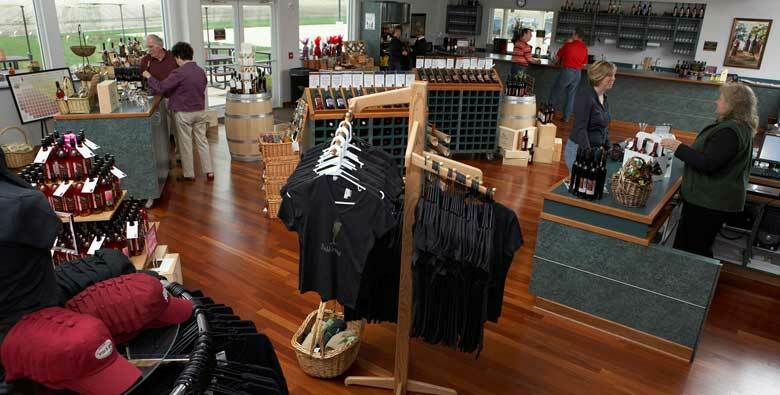 Please click below to take a virtual tour of the winery! 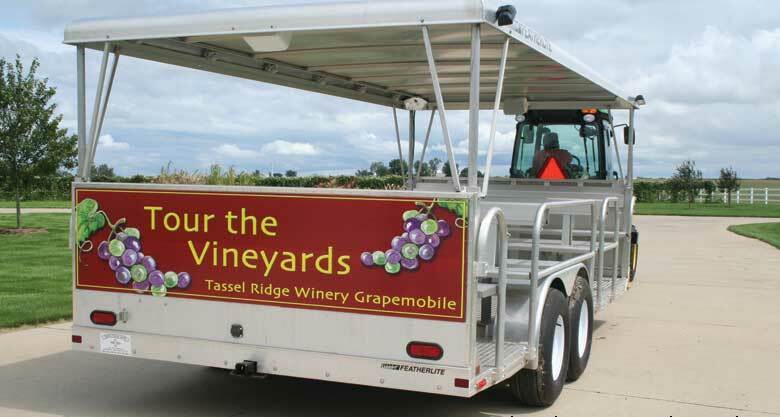 Take a ride in the vineyards on the Grapemobile. 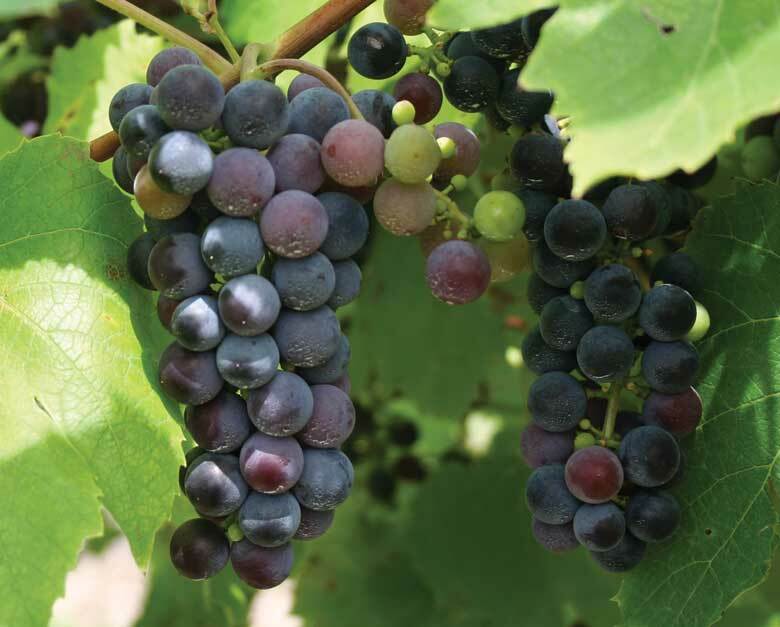 The tour will include information on local grape varieties and growing in cold climates. 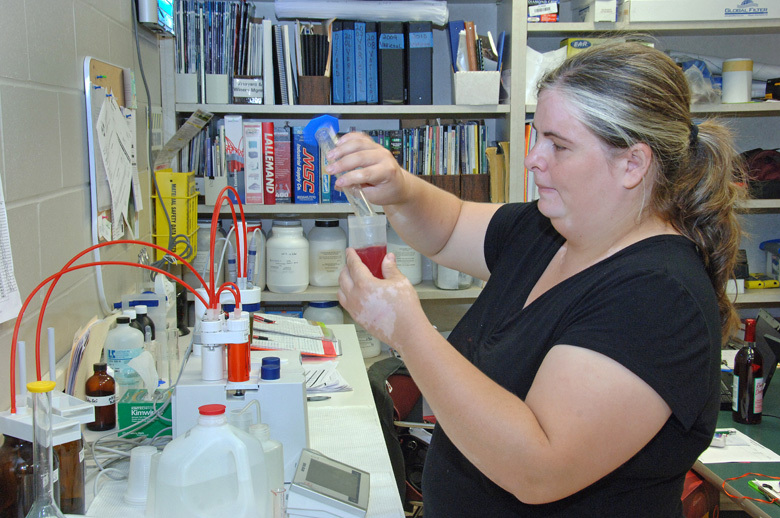 Tours are available most Saturdays and Sundays at 1:00 and 3:00 p.m., weather permitting. 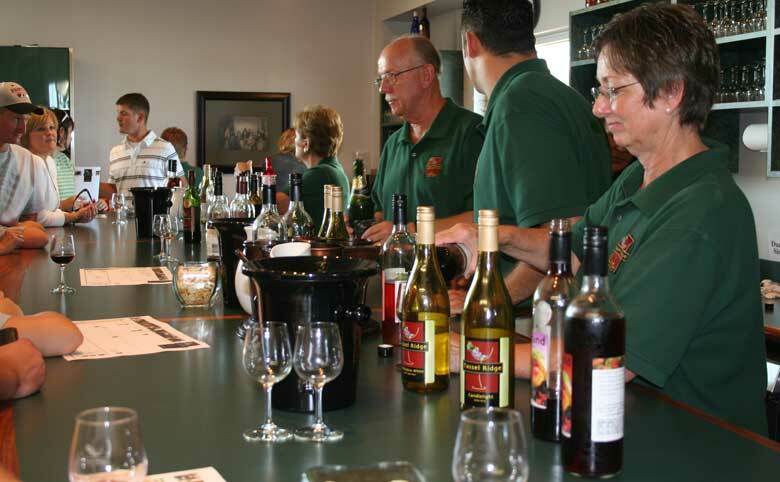 If you can’t make it to the Winery, visit the Winery and vineyards in our photo tour below. 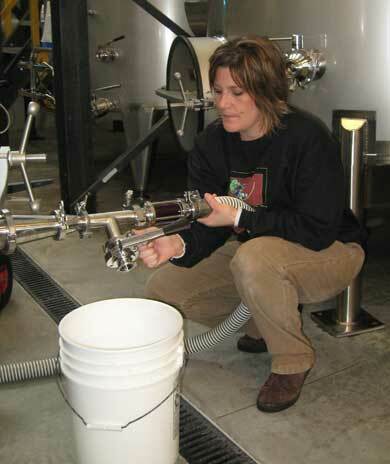 Skip vineyard photo tour and see the inside of the winery. 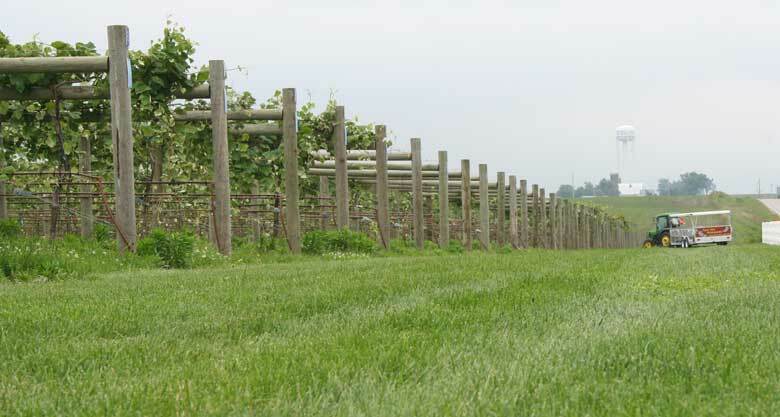 Tassel Ridge Winery in the spring. The Grapemobile just before a passenger pick up. 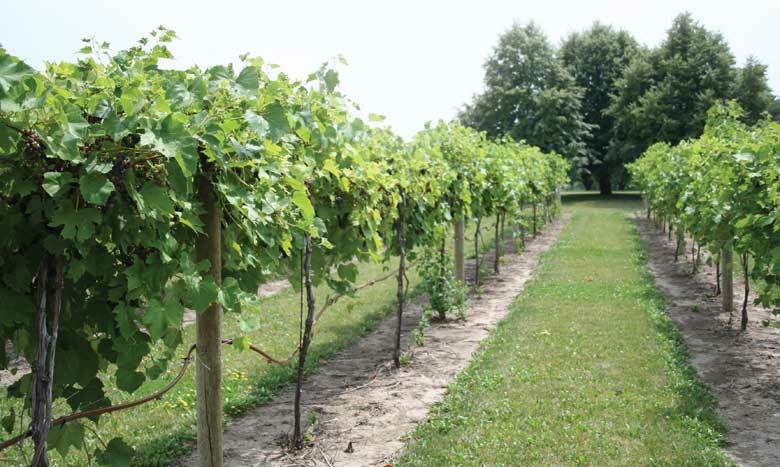 Vineyards in the late spring. 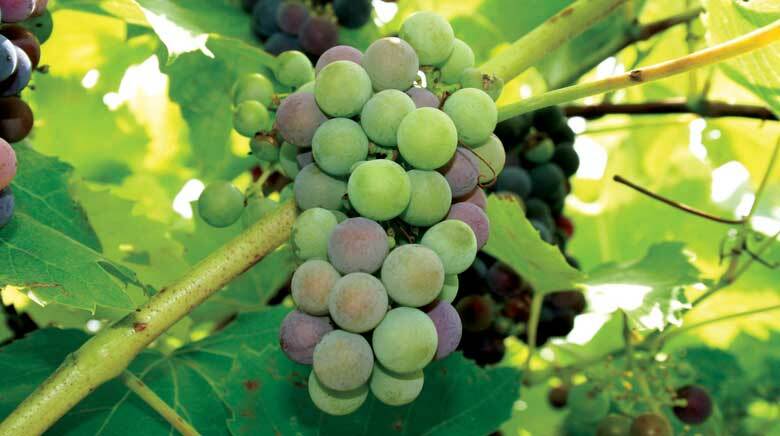 Grapes almost ready for harvest. 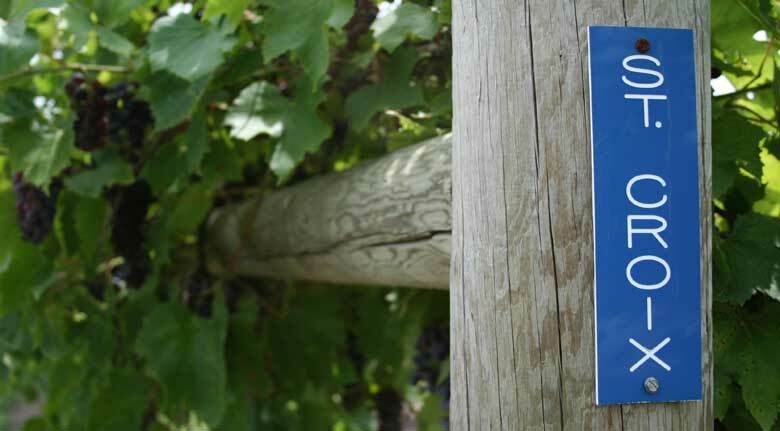 St. Croix post and grapes in August. 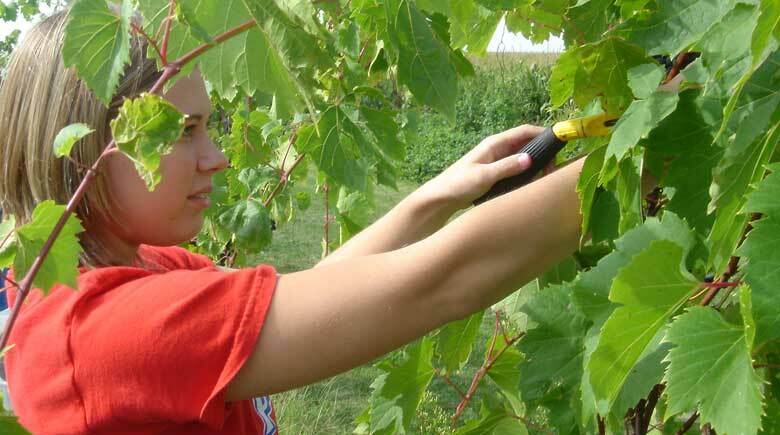 Harvesting by hand in 2007. 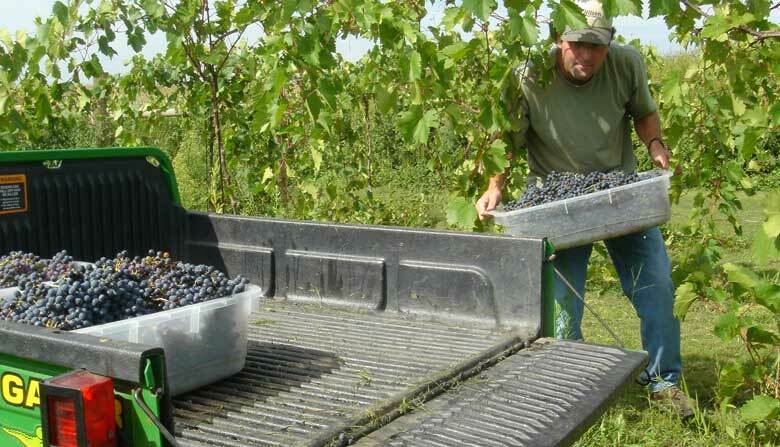 In 2009, we began harvesting with our new mechanical grape harvester. Skip to mechanical harvesting. 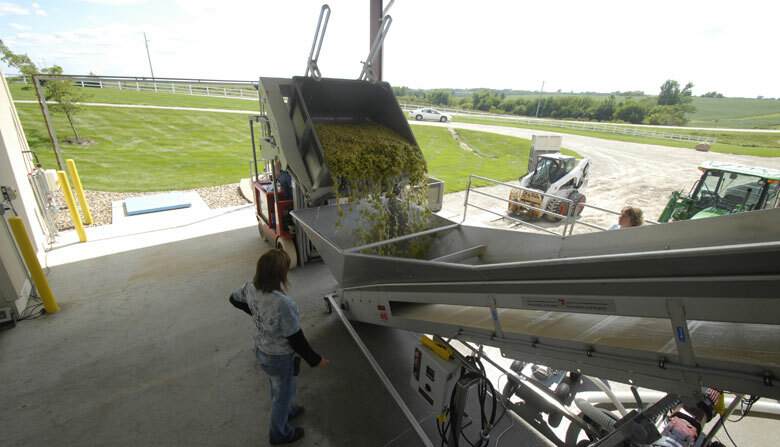 Pickers filled totes which are loaded onto a Gator. 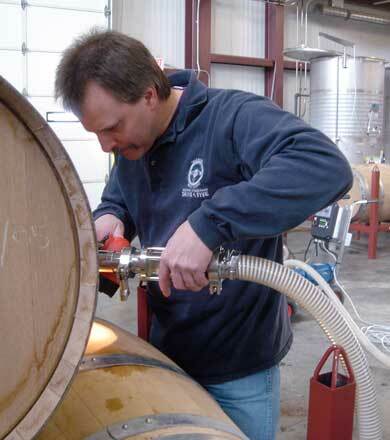 Large bins were filled and taken to the winery in a truck. 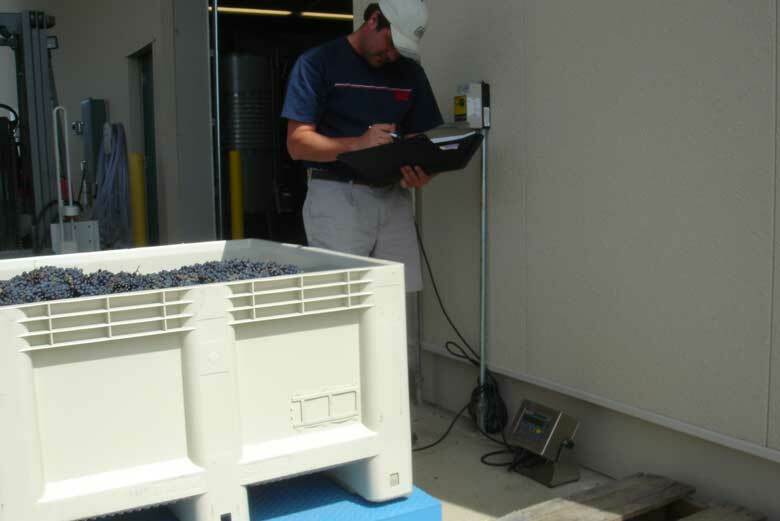 We began mechanical harvesting in August of 2009. 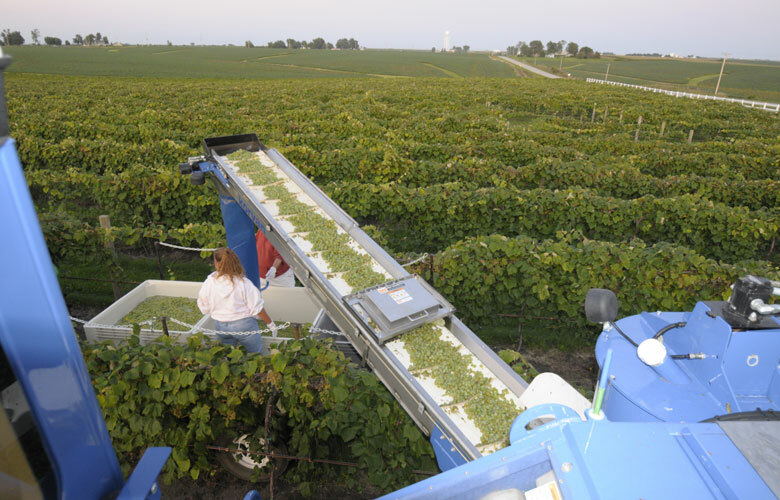 The harvester conveyor transfers grapes into a MacroBin on the specially-designed vineyard trailer, which carries the grapes to the winery. 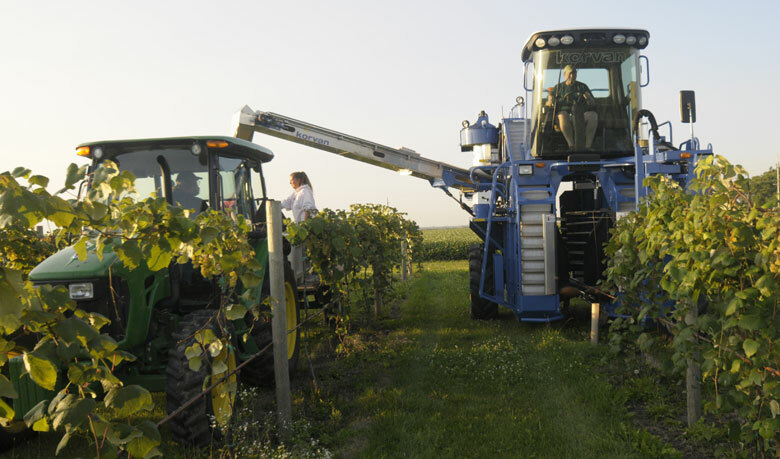 A five-person crew, including a second tractor diver, is needed to mechanically harvest. 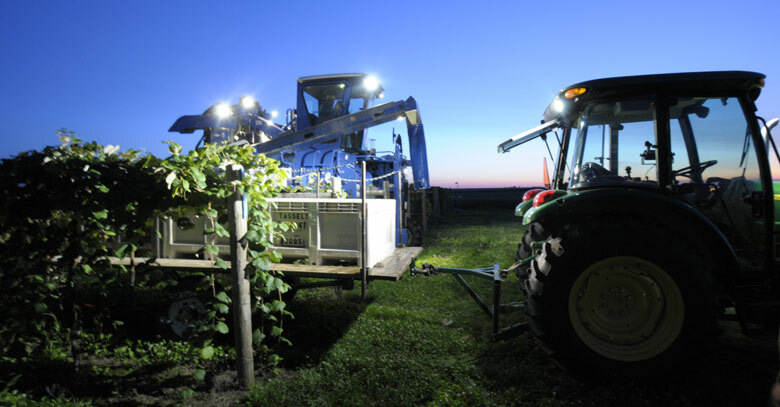 Lights on the mechanical harvester allow for night harvesting. The MacroBin is unloaded onto the elevator for the trip to the destemmer-crusher. 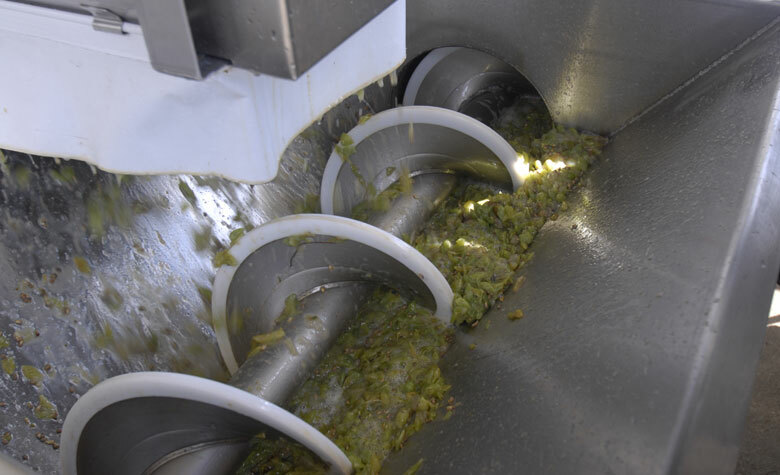 Grapes make their way through the destemmer-crusher. 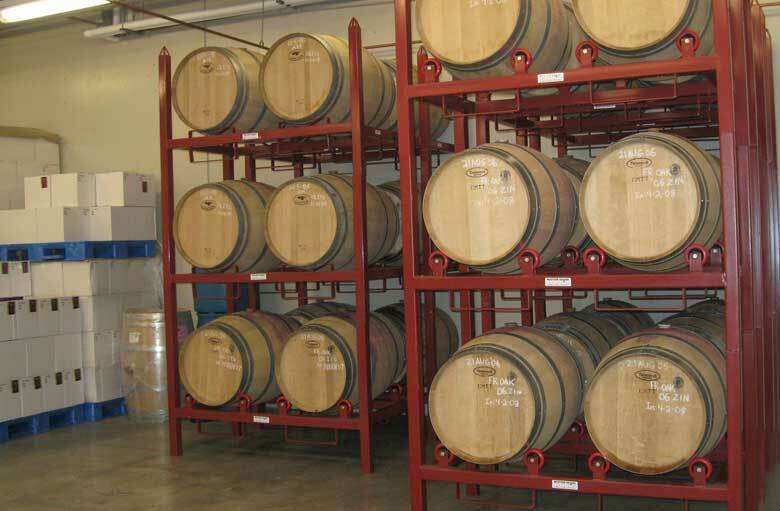 Barrels are stored in a climate controlled area. 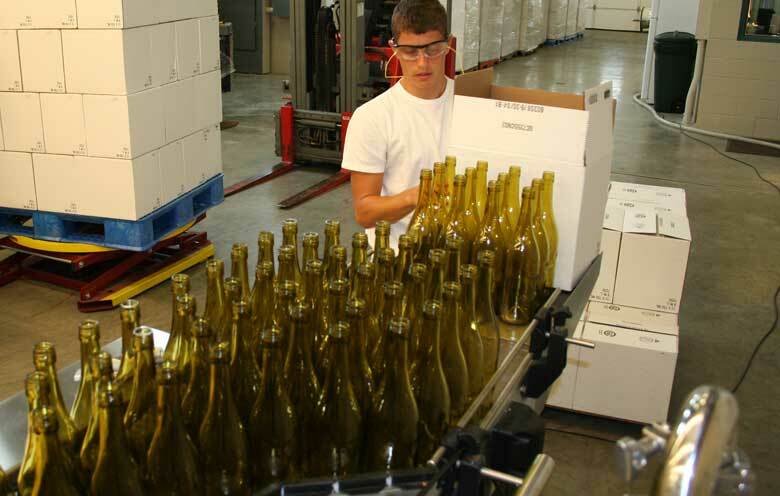 Austin unloading empty bottles onto the bottling line. 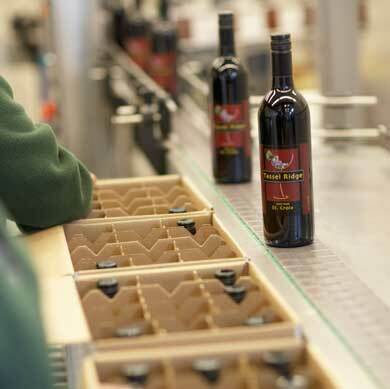 St. Croix coming off the bottling line. 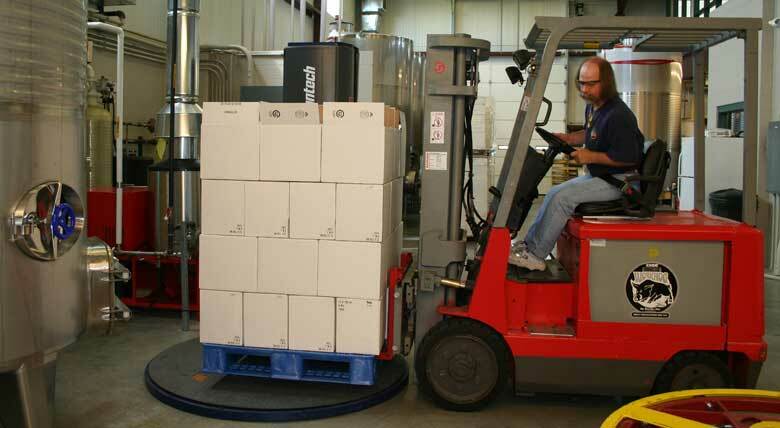 Pallet of wine being shrink wrapped. Tasting Bar on a Saturday afternoon. Gift shop looking into the tasting room.